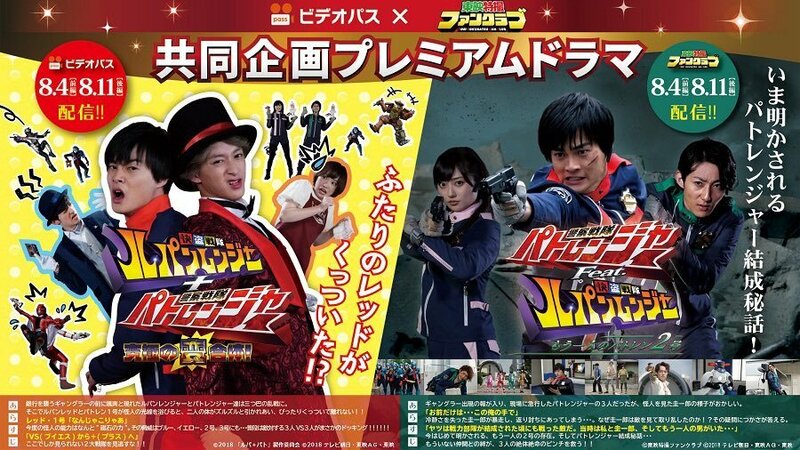 Check-out the trailers for the TTFC web exclusive specials for Kaito Sentai Lupinranger VS Keisatsu Sentai Patranger coming this August. Kaito Sentai Lupinranger + Keisatsu Sentai Patranger: The Ultimate Weird Fusion will exclusively stream Toei Tokusatsu Fan Club this August 4th while Keisatsu Sentai Patranger Feat. Kaito Sentai Lupinranger: The Other Patran-2 will stream on August 11th.